Generally, Bogging is considered as complicated by beginners and they want to make sure the things they are doing right or not? In this post, I am going to write about the mistakes which are being done by newbie bloggers and I also did the same when I was also a newbie. This post is based on my personal experience and journey of blogging. I have specially mentioned the thing and problems which I faced in my early blogging career. I have also mentioned the steps used by me to improve those mistakes in my blogging. First of all, beginners should know about the basic SEO and terms like dofollow/nofollow links, free tools available in the online market etc. These things will help beginners to do best in future with their blogs. I booked Tips2secure on 8th November 2014. But I was already managing this site before booking .com domain on the free domain by blogger, i.e., site.blogspot.com. But it looked ugly that's why I booked tips2secure.com to make it look professional. People also take a keen interest in reading the blogs having paid domains like .com, .net, .in, .biz, etc. as compared to free domains. But I can say that 1st week of November was my first week of serious blogging. I was very excited when I booked TLD domain. But that time I had not a professional and good looking template which you are seeing now. But templates do not matter a lot in the beginning. For beginners, Quality contents, Promotion, Social Media Optimization and Basic SEO matters more. I made many mistakes in my first week of blogging. I never focused on search engine optimization. I did not know about post lengths and keywords in posts. I did not know how to optimize blog with social media channels. Even I was not aware of how to promote my blog. It was just my passion towards blogging to share my ideas and thoughts with people and guide them. My that passion forced me to come in blogging. To be honest, this blog is based on Blogging and SEO guide, but that time I was not able to guide people about blogging and SEO and for so I was criticized many times. I was taunted by people to leave this blog and go for some general niche. But I did not care the words of those people. Then as the time passed, I learnt many new things about blogging and SEO and started writing the same tips and guides for the readers. These efforts made my blog rank good in SERP's and also won the trust of readers of this blog. Now you can read all the mistakes step by step in this post made by me. When I was new in blogging, I didn't know more about creating good posts. I simply started writing posts without focusing on its length. I have mentioned this as my first mistake because it is very necessary to create good quality posts with the specific length. I used to write posts with hardly 300 words. There were no keywords in post or articles. 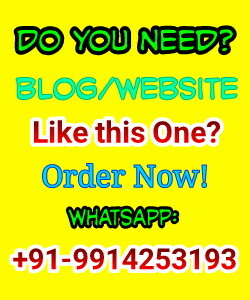 I would write only to increase the number of posts on my blog and I never targeted my readers. I did not ever care about the interest of readers. But later when I came to know about this mistake I started improving my this mistake. How I Improved My Mistake? Simply, I started writing and adding more and more useful information in my articles to increase the length. I started adding screenshots and images for readers to make them understand in an easy way. I started writing articles for the minimum length of 400 words. But these days I write articles with 800-1500 words. It's reality if your articles will be lengthy then user spends more time on your blog and It will be a good sign to be rank in SERP's. But articles should be interesting or people will leave your site in seconds and it will increase bounce rate. As higher bounce rate is not good for websites. When I would write articles, I never used keywords in my articles. Keywords are the words on which we have to focus for resulting good in search engine result pages like google and yahoo. How I Improved My Second Mistake in Blogging? I read many articles and learned about how to use keywords. I started using Keywords in my articles. For this, I always target to use my targeted keyword once in the Title, once in Description and 2-3 times in the body of the post. Do not do keyword stuffing in your articles, if you do then it will harm your blogs ranking. To be honest, I did not make this mistake as I was already aware of it. But here I would like to discuss because I know almost all newbie bloggers are doing this mistake, i.e., of copying articles from somewhere and to paste in their own article. If you are also doing like this or say if you are also doing article spinning then stop it now or you might be penalized by Google. Google might penalize sites who are getting and selling backlinks in a spammy way. How to Improve this Mistake? Just write only the articles for which you are fully known and aware. If you want to get ideas, then you may search in Google but never do copy the wordings or ideas. I was in the habit of making too many grammatical mistakes in my post. Few mistakes do not matter a lot, but if the mistakes are in larger quantity, then it will create a problem for the blog and your readers. To be honest, this one is the biggest challenge that I ever faced in my blogging career. How I improved my Grammatical mistakes? To overcome this problem, I started using Grammarly. It is an online tool that works like a human tutor and it finds your mistakes automatically and provide you correct solution for your grammatical errors, punctuation mistakes, vocabulary and other advanced mistakes of your writng. Click here to use Grammarly for Free. I have also posted a Review of Grammarly after using personally. It is awesome. I always recommend to use this tool, if you are a blogger, if you are a student, job holder and even a retired person. This tool helps you in improving English and writing skills. I never focused on the promotion of my blog posts. I did not use social networking sites to grab new readers for my blog. How I Improved my 5th Mistake in Blogging? I created accounts on all major social networking sites like Facebook, Twitter, Pinterest, Reddit, Stumbleupon, Pocket, Linkedin, etc. Whenever I would create the new post, I used to share that post on all these sites. Then after I started receiving a lot of new visitors for my blog from social sites. My sixth mistake was of wrong use of the commenting system. Somewhere I read that bloggers should comment on other sites with blog Url to get backlinks. But in actual if we are doing a lot like this then it is considered as spam and we may penalize from Google for this. How I Improved my Sixth Mistake? I stopped unnecessarily commenting on other blogs. Even now, I do comments only on that sites which are related with my blog and I always target deliver some useful information to other readers through my comments. It is also ethical. I have joined many high PR forums like Digital Point and Trafficplanet.com. I read and help others. There was also a lack of patience in me. I wanted to grow my blog in a week. But it was not possible for me or freshers to grow their blogs in a week or even in a month. How I Improved my that Mistake? Somebody suggested me to keep focusing your work, don't think so much about the results. As the time pass, your blog will automatically rank higher in search results. I followed his suggestions and after 9-10 months the same had happened to me. How I rank higher my blog in Google. The eighth mistake was of the unbalanced frequency of posts. Sometimes I would publish four articles in a day and on someday I would not post even a single article. How I Improved my Eighth Mistake of Blogging? I set frequency of the posts to be publish on my blog. In my case that was of 1 post per day. Even today, I always try to post at least one new post per day. If we do this then, there is a hope in our daily blog readers that there may be something new on the blog which encourages them to visit the blog again. It helps in increasing the returning visitors. After reading this post if you have any question or doubts then please ask me through comment box, I will reply you as soon as possible. Message: I hope that you have enjoyed 'Mistakes I Made in Blogging and How I Improved That [Blogging Mistakes]' article. However, if you want me to deliver more items then please share my post. You can use Social Sharing Widget provided at the end of every post. After all, Sharing is Caring!. Thanks for your appreciation and keep reading. thanks for the tips mr.
-Can you give your point of you on this? Please design your blogs with some colors and fonts and focus a bit on overall look of your blog because it worth! Taking ideas is not a wrong practice but copying the same contents or article spining is totally wrong and the people who do this are being penalized by google and other major search engines. Spam monitoring team has already on these type of spams and they also have built some secret algorithms to identify these type of spammers. So don't worry and do your best. Ans also thanks for your advice, I will think on it. You are welcome, and keep reading this blog for more useful info and tech guides. Thanks for this post. You pointed out some things I had not thought about. I know social media is important. I am lousy at keeping up with it. I have recently switched from using blogger to my own domain and it is like starting from scratch. Thank you for giving a few things to think about as I move forward. Should also focus on Html/Text ratio, as I forgot to mention this point in the post. Thanks, Suresh for sharing your expeience with us. Learnt something new from your mistakes. Sure, I always share my experiences with blogging here. Hello Suresh sir, that was an awesome blog. I wanted to know that is there any way to change the permalink of a published post on wordpress? No you can not edit the permalink of published post. But you can republish that post as by creating a new post and then after delete the old one. Then after, de-index old post and remove that from Google searches by making the URL removal request using Google webmaster tools. 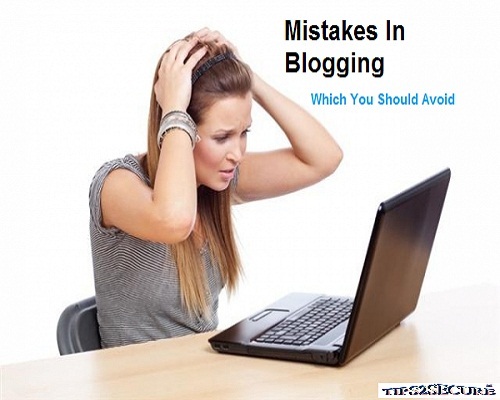 Very nice post i think every new blogger make these mistakes. Thanks, Suresh for sharing your experience. Every new blogger makes these mistakes. But this blog will guide them for improving their mistakes. Yes, this guide might help other newbie bloggers. Thanks, Suresh for your reply. It feels very great when admin reply to our comment. It inspires us to do something new and thanks for it. I am also working on my blog. I am done with the design and working on articles. After reading this article i got to know i have done many mistake in articles. NOw i will sort out my mistakes. Thanks for this helpfull article. I am glad you liked this post and going to improve yourself accordingly.